www.marchelloka.com- it as something that is considered unfortunate but certainly not a problem when my friend turns on engine performance powered by the detail of the machine has a capacity of 471 cc 8 Valve, Liquid-cooled parallel twin-cylinder. 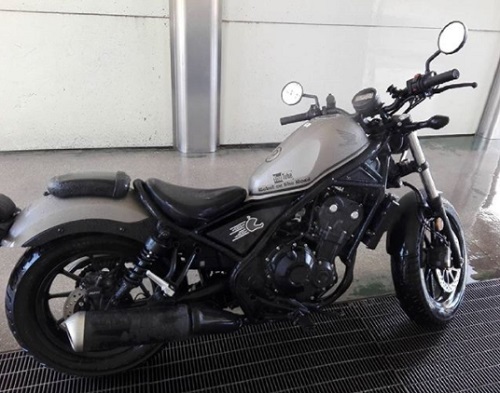 This means that Honda rebel series brings the same cylinder with Honda CBR R 500 and Honda CB500X. With a two-cylinder engine technology embedded 471 cc makes the selling price of the Honda Rebel CMX 500 is becoming so affordable for the circle of lovers of Moge, which is in the range of numbers 150 million rupiah. 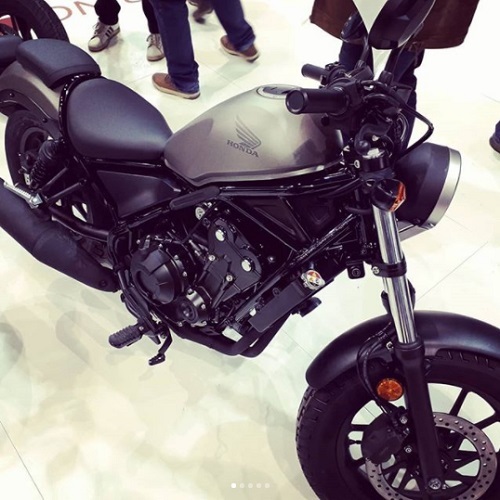 For those of you who wanted automotive friend more information from Honda Rebel CMX 500, here is the latest info its specifications. Honda Rebel CMX500 is one Big Bike cruiser style that blends classic and modern design at. Each side seem macho type Steel frame with Diamond. Are the dimensions have length 2. 188 mm, width 820 mm, and height of 1. 094 mm. Beyond that, moge has distance axis has a size of 1. 488 mm as well as the lowest distance to stand 1. 488 mm. To facilitate their riders, Honda designed the CMX500 seat height 690 mm with Rabel and overall have weights weighing 190 kg. See the design, no doubt Honda CMX500 Rebel will also be so comfortable to drive. Because this bike offer a place drive enjoy lucrative not exhausting time driving long distances. Outside of that, his classic design is also reaffirmed by headlamp in the form of a round with a diameter of 135 mm. Hence there is also an existing key holes on the side. For the colour, Honda provided a choice of three colors in Red, Mat Millennium Silver Metallic, Armored and Graphite Black. 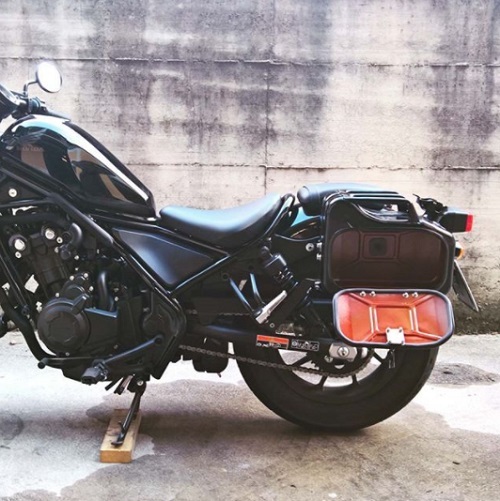 Design cruiser that he hath made CMX500 Honda Rebel competed against Kawasaki Vulcan s. but prices Honda Rebel CMX500 in selling cheaper, because this bike brings the engine specifications are lower. If Vulcan S engine 649cc, so this bike brings the 471 cc engine. Both are both taking the engine DOHC Parallel Twin Engine with improved cooling system Liquid Cooled and the system burning Fuel Injection (PGM-FI). The use of technology from PGM-FI in moge 471 cc-this makes them have to consume fuel including low. We just need the contents of one liter of petrol to pursue distance 27 KM reach. problem Then perform, a machine that used Honda Rebel CMX500 can spew out torque of 45. 8 Nm achieved at putran 5. 500 rpm. His energies are penetrating the 35. 2 KW on lap 8. 500 rpm. Beyond that, there are also system transmis 6 acceleration borne responsive when switching from one gear to the other teeth. Commonplace if the price of a Honda Rebel CMX500 on sale under IDR 150 million. Because the big bike this four-cylinder engine using speckle. However, perform chromosomes remains powerful and reliable to drive long distances or at close range. Especially motor is already equipped braking system ABS 2-the auto Chanel will also increase the safety of riders CMX500 Rebel when it stops by unannounced. The front and rear sides also attached disc discs are covered so the existing standard. Then to the sides of the legs, CMX500 Honda Rebel yet also wears front suspension Upside Down. Honda more select artificial telescopic suspension SHOWA 41 mm. diameter Are for suspension rear swing arm wear combined with artificial fruit duah shockbreaker Showa with diameter 95 mm. For companions that hoby modification, add good replace the suspension by Ohlins shock incurred raising handsome big bike cruiser style. Two tires are Tubeless tire wear has been used. In which to ban the front side has a size of 130/90 – 16 M/C 67H and tires tow has a size of 150/80 – 16 M/C 71H. 2nd tire size Honda Rebel CMX500 included both to support the weight of this bike to reach 190 kg. Beyond that, there is also a fuel tank that can store FUEL until the ability 11. 2 liters. Don't need this motor anxious wastes fuel, karna has been maximized by technology from PGM-FI, developed with special by Honda. For admirers of a big bike, Honda CMX500 Rebel is the most fitting choice. Because this bike offer the thrill of a different drive than the moge-style naked bike or full fairing. The last difference, moge is offering a complete range of features, such as the speedometer minimalist has a size of 100 mm equipped LCD monitor as well as a button to set the spedometer it. Well armed with everything that featured real, how much is the price of a Honda Rebel CMX500 in Indonesia ? This motorcycle has already officially marketed in Indonesia as well as in sale IDR 147. 387.500 (OTR Jakarta). 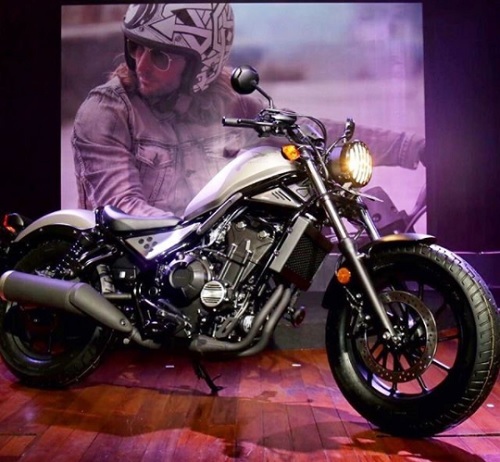 Price Honda Rebel CMX500 it is cheaper than the price of the Kawasaki Vulcan S that more than IDR 170 million. The two are both in the same stylish cruiser, but the motor has a smaller cc, to the selling price cheaper. Behind the dramatic price Honda Rebel CMX500 we keep gaining diverse featured attractive, his ABS braking system. Apparently used this exact same motor used Honda CBR500R. Eventually the price of Honda Rebel in CMX500 bandrol so exactly with CBR500R. For companions who love sporty-style motor is certainly more select CBR500R equipped full body fairing. But for companions who want the motor with the design classic, so this is the choice of most motor fitting. Especially in it there has been a wide array of modern features make CMX 500 Rebel no less sophisticated than other models. How, interested to buy it? 0 Response to "Price Honda CMX500 Rebel Specifications Review 2018 | A very big Bike in a very attractive Design Dreams high value"